Today was what we called the Free day. The lounge-about day where we got to sleep in, I got to take a long, hot shower, and eat a little breakfast before we separated. To do whatever each of us solely wanted to do. For me, the day was made for walking along the paths of Holyrood Park to get to Arthur’s Seat. I was told at the front desk getting there would be a twenty-minute walk along Lawnmarket that turned into High Street to where Holyrood Road would lead me the rest of the way. But even with those directions, you still get sidetracked as you follow the path. The first distraction was the convenience store. I thought that I might as well get something for the long hike to come so I got a couple bars of a sort and a big water bottle. Shortly after before the street turned into High Street, I saw the signs stating that the National Museum of Scotland was just a little further if you crossed the George IV Bridge. I couldn’t resist. It was free admission and right by the entrance was the gift shop so I was curious about what they had regarding William Wallace. 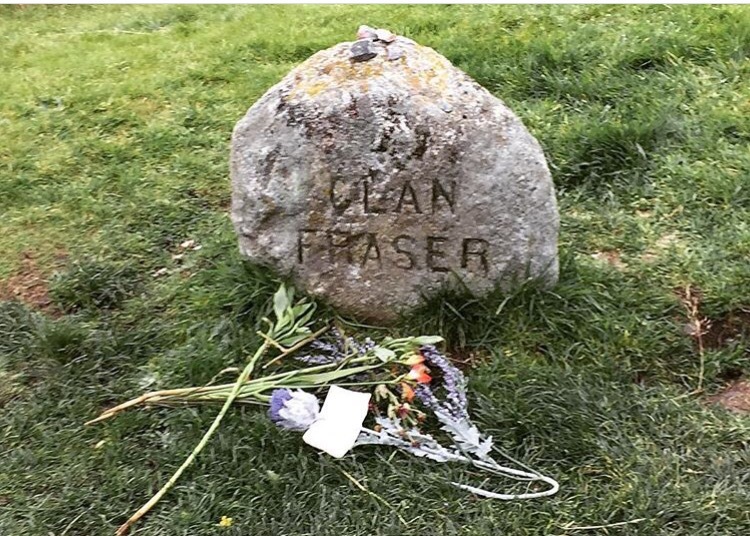 Which by the way, since we didn’t get a chance to explore the Wallace Monument and I was craving to watch Braveheart, I figured if I’d try and find something about him to make up for it. Until I’d get the next chance to travel back to the Land of Scots. I managed to find just that and it was even better considering Mel Gibson reviewed it too. I also got more beautiful postcards that photographed some artifacts I missed; like the Lewis Chessmen dating from the late 13th to the early 14th centuries. However, due to the time crunch I had, I decided that I’d only spend time in the Scottish-based history sections. Logically, I thought that every museum had science, technology, animal kingdom displays, and whatnot exhibits so I shouldn’t waste time in those areas when I could really take in the Scottish history and anything related to the Scots. Every museum, no matter what the destination, had those exhibits so I had to make the time count. From the map, I was given and grazing observation, the palace-like interior had seven floors and, just from looking above, I knew it would be at least two hours going through the entire place. The main floor alone had at least ten pedestals displaying relics and artifacts, even the infamous cloned sheep, Dolly, stuffed and standing tall. Every wall was covered by international pieces of art, technology, and weapons. And of course, the ceiling had plenty of skeletons, animals, and vehicles of all types dangling. The interior was an elongated oval with many pillars and the first three floors visible from the naked eye. Everything, aside from the artifacts and displays, was stark white and if I recall correctly had marble floors as well. As for the Scottish-themed exhibits, I’ll leave those to your imagination. How else will you come and see it for yourself? Museums need to be more appreciated these days. They make it possible for us to touch history and feel the past. The last distraction I came across was Blackwell’s Books. Yes, English major passing a bookstore. But this wasn’t an ordinary distraction for me; rather that moment of discovery was something precious to me because a lot of bookstores in the U.S. are commercialized, and unless you live in places like New York City, Chicago, and Columbus (like I do), it’s difficult to find indie and second-hand bookstores. Bookstores that have a personal touch and each experience is different every time. I had to seize the opportunity. And it was a good thing I did because I found Sir Walter Scott’s Rob Roy and Eleanor Atkinson’s Greyfriars Bobby. For about six pounds, I purchased two books very crucial to Edinburgh’s history and culture. Not to mention that these two books were published right in that very city. The locality made them all the more precious souvenirs. They were worth more than the trouble I had stuffed them into my bag, to which I decided to call Machiavelli. After another five minutes, I turned the corner to Holyrood Road and the home and park of its namesake. And there I saw Arthur’s Seat in the distance. Arthur’s Seat is 823 feet above sea level or a rather high counting from the park’s base. After FaceTiming my parents, so they could see one of the trails to the Once and Future King‘s throne, I somehow reached over 300 feet from the base. But not without running out of breath. I spent a good 45 minutes getting up as high as dusk would allow. Once I accomplished one of six trails to His Seat and considering there were no lights along the path, I knew I had to turn back. Though I did not have as much time as I would’ve liked, the timing, however, was perfect. 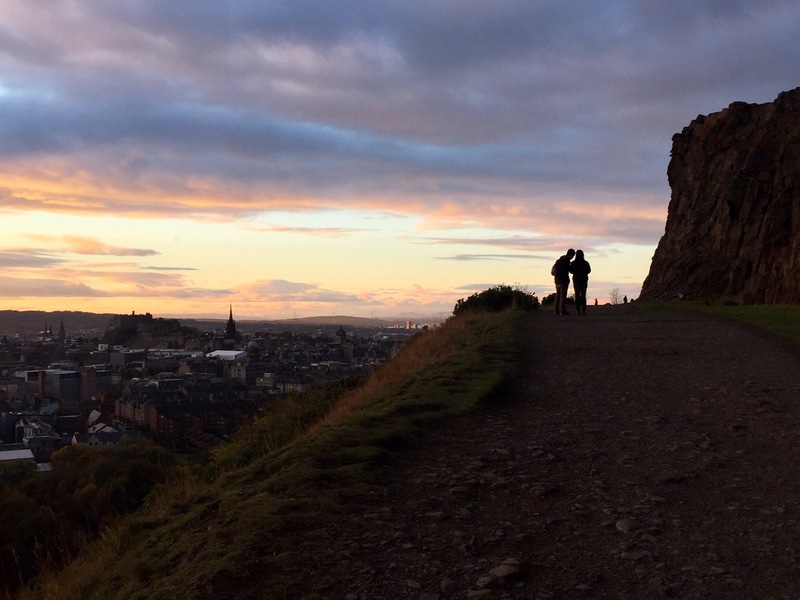 There were so many colors in the sky and so much of Edinburgh in my sight that no filter was needed to capture, or emphasize, the scenery with my digital camera and my iPhone. Later in the night, after we all met back at the hostel, we did another bookish detour at Waterstone. There is the travel section was a book titled 1001 Walks You Must Experience Before You Die. I was particularly proud of myself to find that Arthur’s Seat & Holyrood Park was one of those walks. I got back to the hostel around an hour early since we agreed to meet back around six. On the way there, I passed a professional rugby team hauling their luggage into a luxury red van and a street performer playing the part as a floating Yoda. Only in Edinburgh, right? This day didn’t start out well. Let me break it down for you. Our train was for 8:30 a.m. But we ended up getting on the wrong one. Yet, we managed to get off before departure. Just to be clear, it wasn’t our fault; that particular platform had two cars on the same track and neither the attendants nor the time boards informed us as well as six other passengers–four of them natives–going to Inverness. After some badgering from us and the other troubled passengers, we were given tickets to cover the misunderstanding. We got on the next train where we were to get off at Perth, on platform 19, and then fifteen minutes later we got on the next train on platform 7. It was tedious, exhausting, and strained us in a timetable of over three hours. More or less, we got to our hostel an hour or so later than planned. It was super small and tight, but not awful. We dropped off our stuff, explored a little, and got some food at the Caledonian (which was okay regarding food and service). Then we browsed the streets a bit on the way back to the hostel. Already dark, we saw a convenient store across the street so I got some soda and British hard gummy chews…then I thought about the Domino’s we passed and instantly got the munchies. Two medium pizzas for fourteen pounds. 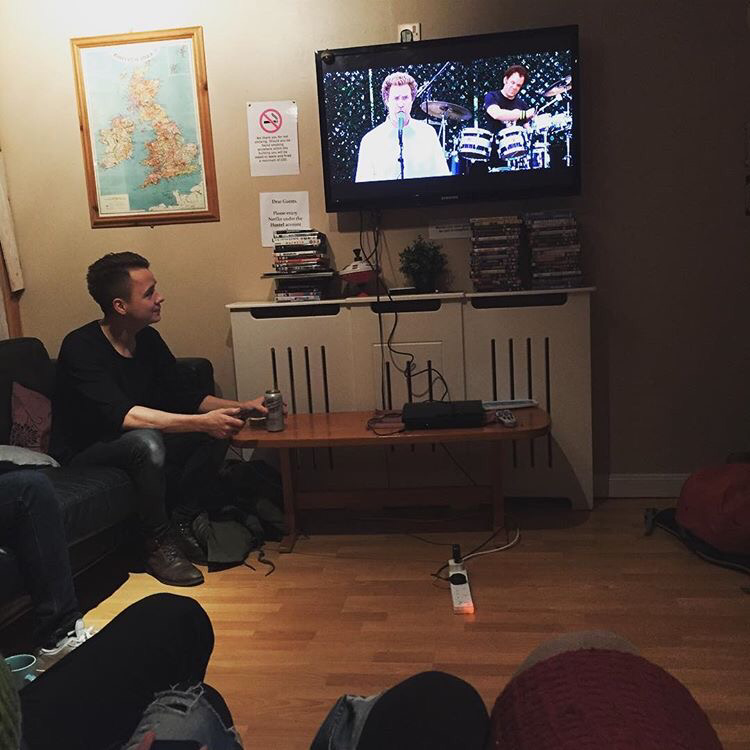 The real fun started in the lounge: pizza, soda, and Netflix with fellow hostel residents. Using a PS4 controller, Moriah put on Stepbrothers, and later, when that movie finished, the Avengers. Emylee and Moriah went to bed while I stayed behind to work on more writing. I ended up talking to a couple people from England, Ireland, and Canada while watching White Chicks. One was asking about the U.S., more specifically Chicago, New York, and Boston. I told him the truth of those cities; I had to be honest but I made sure the anecdotes were both good and bad. After dealing with the craziness this morning, I felt it necessary for the Count to entertain me with his exceptional mind unfolding justified chaos. Once we checked out of the hostel the next morning, we put our bags in the luggage room under lock and key. Since the flight from Dublin to Edinburgh, we found it to be very difficult to find a Starbucks anywhere so stopped into Costa. Basically, this company is their Starbucks. So each of us ordered coffee and a sandwich; I decided on an Amaretti latte & all-Breakfast toastie. My god, they were delicious. I made a pit stop across the street to a souvenir shop to get a couple keychains, for Mom and my sister, before heading for the bus stop to Culloden Battlefield. The ride was 3.70 pounds for the whole day. It took about ten-fifteen minutes to get there, and then we walked short hike following the picket sign to the battlefield and its visitor center. As luck would have had it, each of us got a student discount and paid 8.50 instead of 11 pounds. In addition, they had gorgeous guidebooks for 5 pounds so I bought one. It was also necessary due to the no-photography sign stressed across the entrance of the museum portion of the center. I wandered off first into the interactive and large history book that were the halls of this museum. Having the ability to view and touch the artillery and weapons, used from both the government (red coats) and the Jacobites, I’d say the no-photography warning was more than fair. I also had the opportunity to see precious tokens of the leaders and loved ones, from both sides, and even the death mask of “Bonnie” Prince Charles himself, the Pretender of the Scottish Throne. Before the main event outside, there was a five-minute video reenacting the battle that lasted no more than two hours. Four screens, that ranged from the floor to the ceiling, showed Scottish men being taken down like dominos. In that short time, silence was essential as you witnessed this acted-out slaughter. You couldn’t help sympathizing, knowing it was a lost cause. Being told of history is one thing but it’s another when it’s displayed in front of you. That’s the thing about history: to see it reenacted, understanding the past is the past, you still want to change it knowing there is nothing you can do to go back. A moment of melancholy takes over you for a moment. Close by the exit to Culloden Battlefield, you’re given an audio guide. For the duration of 35-40 minutes, there’s a GPS in this device so when you walk in a certain or path, it automatically starts providing information about one of the many areas; like point 5 was where the blue flags, or the Jacobites, stood. The blue flags stood for their front lines. There were red flags that stood for the government or the British. Halfway during the self-guided tour, I came across the gravestones of the clans. These were blunt stones that had certain clan names carved into them; over 1500 Scotsmen died on that battlefield and if they (the British and Scots alike) could identify the clan tartan on the body, they put the body in a mass mound for all those who once were a part of that clan. However, when they couldn’t, they had those unknown Scots placed in mass graves labeled “Mixed clans”. I suppose the government did this out of respect; not only for the dead but for the sake of military honor. 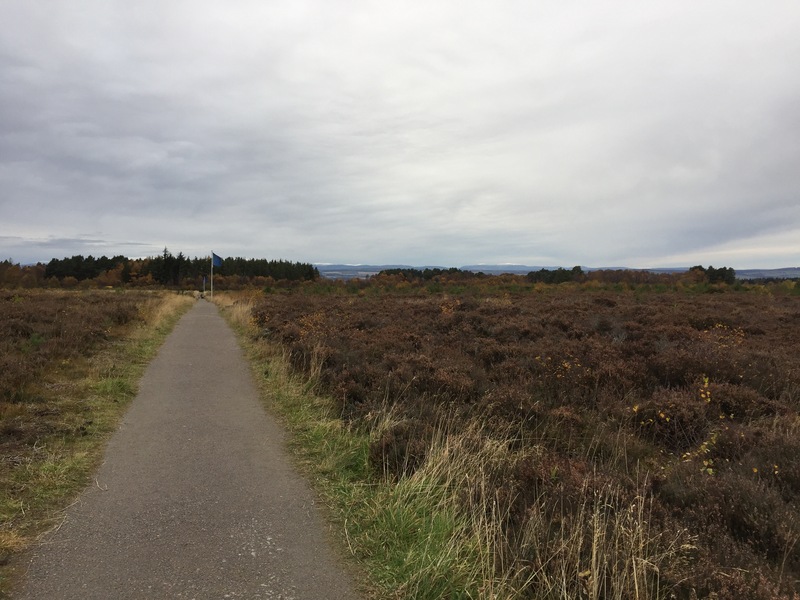 When the audio guide wasn’t speaking, the only sound you heard was the wind becoming louder and harsher, as you went further on the path; especially around the Culloden Memorial. This structure was a stone battlement within reach. Some of the stone bricks had faded words speaking of, I guessed, respect, peace, and heartfelt memory. After finishing the exploration of the battlefield, I dropped off the audio guide, walked around the gift shop, then I had a cappuccino while working on some postcards. 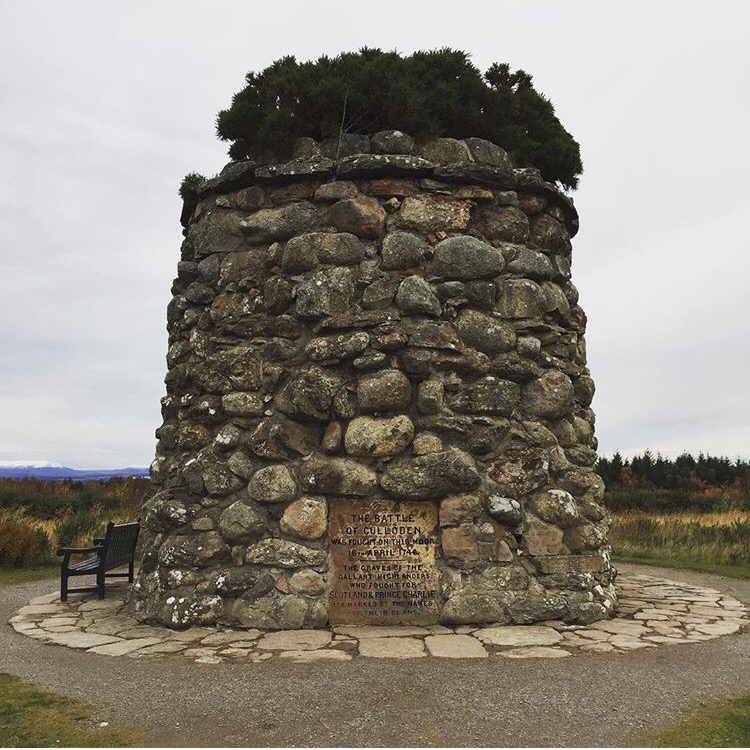 Sometime later, I asked the woman behind the visitor center desk, who happened to be a Fraser, told us that if we headed into the opposing direction of Clava Cairns (the bus stop where we got dropped off) we could reach a stop for a bus that comes every twenty minutes. Originally we intended to wait for the 5:15 bus but since we no longer thought to see Clava Cairns, for now, we had a couple hours left and took the woman’s advice. We walked there, waited for ten minutes at the first bus stop sign, then got restless and headed further into town to another bus stop that had a looped road. Not even two minutes later the number 5 bus came and we were on our way back to Inverness from Culloden. Immediately getting off the bus, we went into the mall to use the toilet and pop into Waterstone’s Bookstore. Then we grabbed our stuff and were at the train stop almost two-and-a-half hours early for our 8:15 train. Once the time came, we hopped on and stayed on there until 11:58 p.m. Twenty minutes before we got off, Emylee looked at our booking confirmation for our hostel only to see that our check-in time wasn’t midnight on the 9th (which was tomorrow soon to be today minutes from then) but at 3 p.m. of the 9th. In a nutshell, we had to pay an extra night because of information they didn’t point out to us when we were specifically requested a check-in time. I was too angry yet too tired to argue, so we paid the licking-chops gremlin that was the night manager. We went straight upstairs and I directly in the shower. I’m not even going to discuss the shower. What I will say as a final note, is that all of us agreed to sleep in and have the following day be somewhat leisure since there wasn’t much on our itinerary. I won’t blame Glasgow, but by God, I hope tomorrow will make up for this night. Oidhche, a h-uile! Night, guys! To accommodate the series of unfortunate events from last night, all three of us slept in, took our time getting ready and then went into the Royal Scot for an early lunch of burgers, diet Coke and tea. Since we were still feeling a bit pinched from last night, we just did some browsing. But not before hunting down a Starbucks for an Eggnog Latte. It took a while but we found one. Being a calm and steady day, we took today to spend time in and around the Necropolis. Even caught a few glimpses and screenshots of Glasgow Cathedral. Literally meaning “the city of the dead”, the necropolis felt it went on for miles. And odds are it did, considering when we all separated for silence and assessment, none of us covered the entire grounds. The graves were either weathered, battered, or broken. Even some were stacked like bricks and pushed together. Sometimes the line of graves had the stones pressed or squished together. There were several, and variously sized, mausoleums with Greek- and Gothic-stylized architecture. 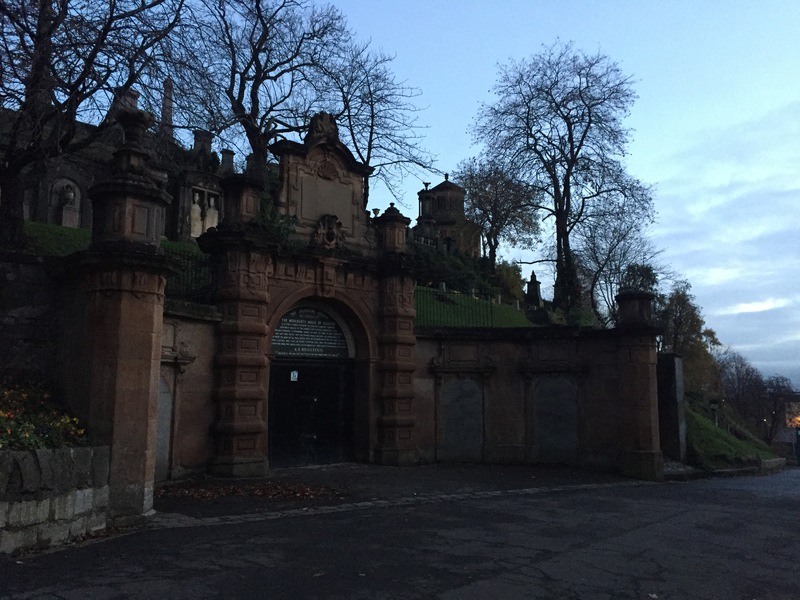 The necropolis was hills upon hills; flights of stone steps, damp but very green grounds, and gravel in the soft grounded paths. On the way back, when dusk descended, there was a half-moon above one of the mausoleums striking the sky like God’s thumb. When dusk passed, came Night herself. Not too much of a walk back, we rerouted through St. George’s Square. Lit up and more than ready for the Happy Christmas greetings to come. You forget that we, the U.S., are the only ones who celebrate Thanksgiving. Soon we were back at the hostel to eat in their house restaurant and bar. I had my fix of mac ‘n’ cheese with garlic bread and naturally some tea to go with it. But I changed my favorite meal a bit with having some dessert called millionaire ice cream cake. It wasn’t bad. Then I ended the night with some writing and a couple episodes of The Crown. Got mind-blown by the end of the fourth episode. I assure you I’ll have much more exciting things to tell later. I want to be clear about Glasgow: it is a place where you invest time in the theater and in the downtown life. So for this trip, we agreed that we should just leave early. And that’s just what we did: we switched our train tickets from 8 p.m. to 1 p.m. to Edinburgh. We checked out early and walked to the Glasgow Station. Couple hours till departure, we read and did postcards as we waited. The simple morning drifting to an easy, early afternoon didn’t last long. Once again the rail reps in Scotland seem to have communication issues when it comes to crucial information. Like on our train from Edinburgh to Inverness, the ScotRail Rep on the phone didn’t tell or assist us in the crucial details; that we had to get on a train to Plymouth and then get off to another train that goes directly to our destination. The ticket attendant told us we were technically on the wrong train but helped us out, said to just stay on this train (1:03 pm to Edinburgh), since it was going the right way regardless, and to just double-check next time. My God, Edinburgh, how I’ve missed you. Shortly, we were in by 2 p.m. as anticipated, then hit the streets to browse and find something to eat. Especially since I had coffee, some lemon loaf cake and some chicken nuggets in my system. Just took a couple turns and ate at our new favorite pizza joint in the United Kingdom: Civernios. We walked around some more, then headed back to the hostel. I immediately went into the shower, and got out, anticipating a night in. The other two wanted a drink downstairs but I wasn’t in the mood for anything at first. Sometime later I ended up going downstairs because I was craving a soda and was a little hungry. Also, the vending machines were practically empty. I sat with them and met Rob; the new friend they met on the Royal Mile shopping while I was at Arthur’s Seat. He was nice as much as he was challenging, inquisitive, and bold. Rob was somewhat easy-going and honest without being in any way judging. A decent guy as well as a very great storyteller. How do the Scots do that? This question coming from an amateur writer. And it’s about to be a busy day tomorrow.